RE:Vision Effects has announced DE:Flicker for Premiere Pro, with support now included when purchasing DE:Flicker for After Effects. DE:Flicker is designed to smooth out those annoying flicker and artifacts when shooting high frame rate or timelapse video. It not only fixes flicker from artificial light sources but also fixes flicker on multiple objects, even when those objects flicker at different rates. Compatible with Adobe CS6 and up, DE:Flicker for Premiere Pro includes GPU acceleration on two or more GPUs at the same time. This is provided that the GPUs are the fastest on the machine, and are of the exact same type. While single GPU acceleration is supported in AE, multiple GPU support for AE is not yet available. 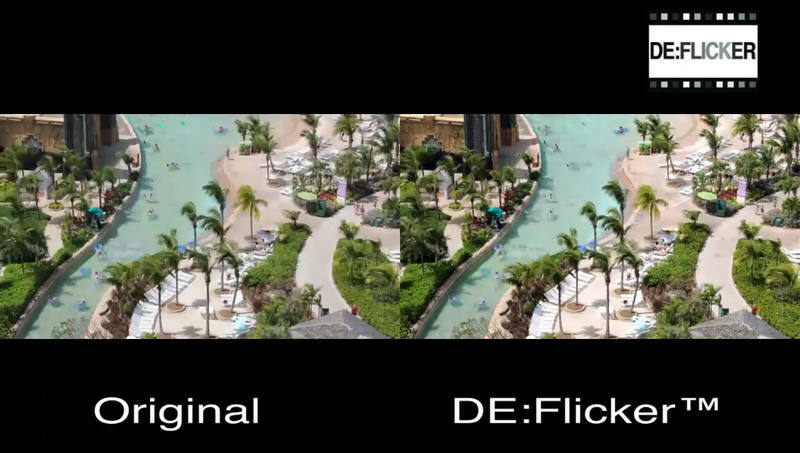 Check out some sample footage improved with DE:Flicker and find out more on RE:Vision Effects’ site. Also of note, Adobe has released After Effects 13.5.1 (CC 2015.0.1), which corrects a bug that prevented the use of any two of RE:Vision Effects’ plugins on the same layer.